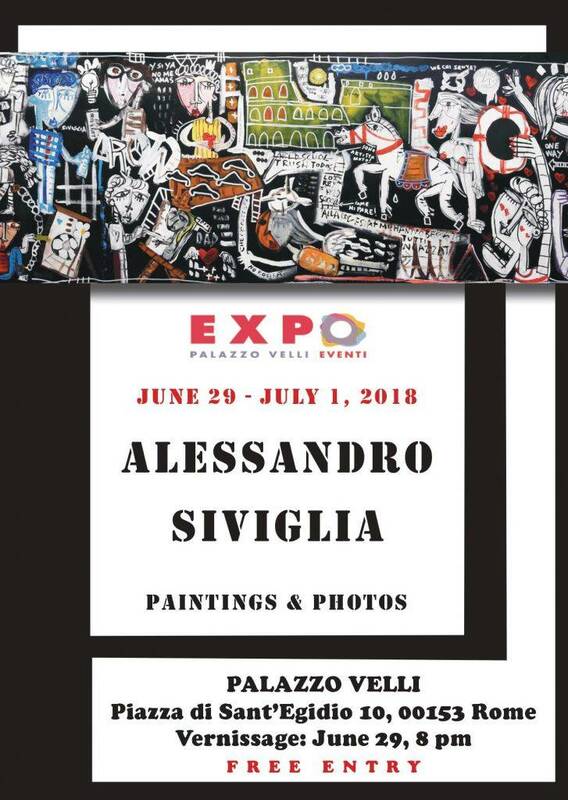 From the 29th June to the 1st of July the Palazzo Velli in the Trastevere district of Rome will host a personal exhibition of the artist Alessandro Siviglia. On the upper floor more than 30 works will be exhibited, large and small, which show the artist’s work of recent years. 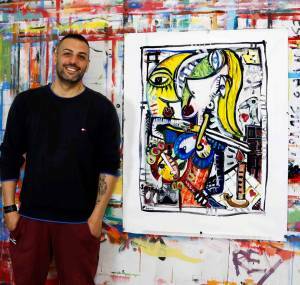 The canvases of Siviglia demonstrate the immediacey of his work, the vivid colours and his expressive figures, his way of painting has developed since adolescence throughout his works and have matured in time producing important works on canvas. The ground floor will host a photographic exhibition tracing the artist’s life, created by the photographer Annett Mann.